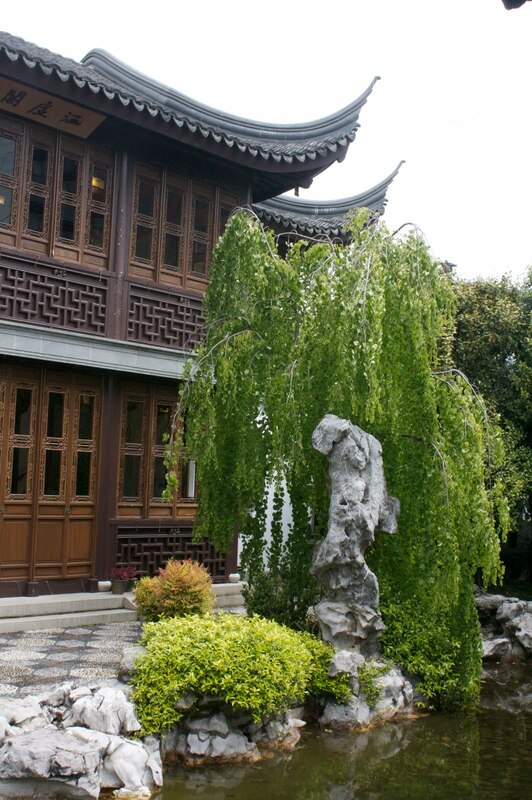 In the middle of downtown lie the beautiful Lan Su Yuan gardens. Enclosed within a single city block, the garden is haven of tranquility amongst the tall buildings and bustling atmosphere of downtown Portland. Being May, the gardens were absent of crowds and hurry and we could slowly take our time to appreciate the immaculate handwork that not only went into creating the park, but also the ongoing work to keep it in such a serene state. We meandered quietly admiring the ornate chinese architecture and the colorful blossoms before walking back out into the bustling streets of Portland. 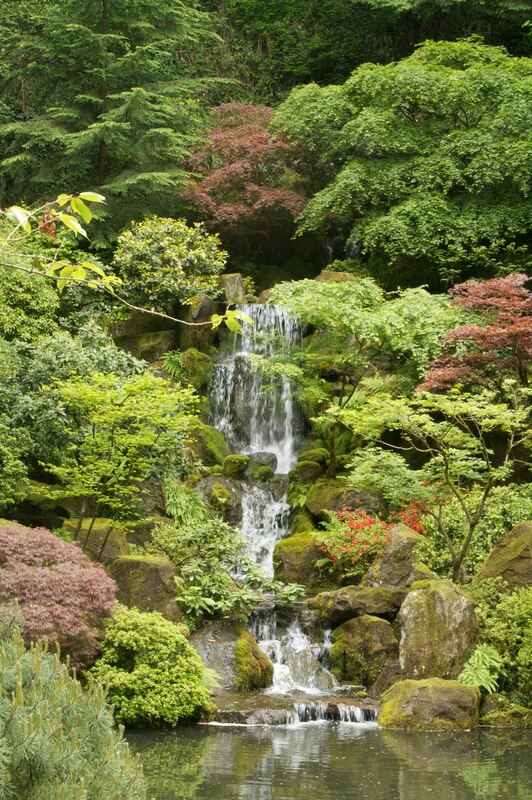 The Portland Japanese Gardens are just a small part of a much larger garden and park complex on a hillside overloking the city. Somewhat accessible by streetcar, we still were left with a short and scenic hike through the Hoyt Arboretum. Hiking to the gardens, I was reminded that one of the things that makes a great city i the presence of green corridors and easy access to larger areas of forest and park. Portland has a plethora of green areas, as well as mountain views and the confluence of two major rivers. It is a city with a slow pace that makes it easy to relax and enjoy. And while the walk to the Japanese Gardens itself was enjoyable, the gardens themselves were even more tranquil and inspiring. As we made our way through the intricate pathways, we tried to slow our tempo and notice the details. Elias and Frêney found their own pace. Particularly the "deer chaser" caught Elias' interest. The bamboo fountain was made of a tube that slowly filled with water until it became unbalanced and tipped over creating a loud "thonk" and then rebounding to be filled once again. Whether it was the engineering, or simply the simple design and sound, he sat there for quite some time following along with the almost meditative repetition of filling and emptying. The waterfalls, bridges, and zen rock gardens required time to fully admire. We made our rounds and tried to capture some of the beauty on film, but mostly it was the combination of the peaceful surroundings with the natural beauty and intricate design that kept us engaged and inspired. Across the road from the Japanese Gardens lie the International Rose Test Garden, with seemingly infinite varieties of roses. Unfortunately, we were in town a few weeks early for blooming to really impress but the gardens themselves were beautifully laid out with sculptures and views of the city below. 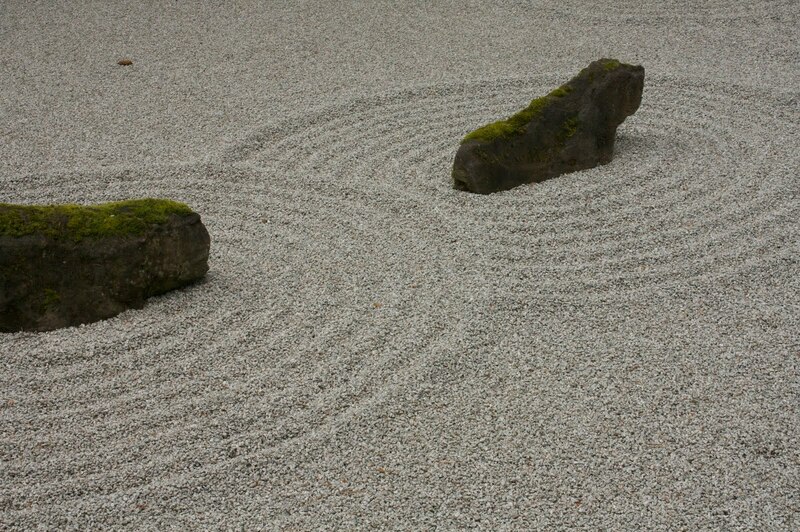 The following morning, Elias asked if we could return to the Japanese Gardens so they must have made an impression. Instead though, we spent the day wandering the streets of downtown trying to get a sense of the urban beat. And while with two kids, we were somewhat limited in how much we could do and see. We were still left with a great impression of Portland as a city that we actually could call home, and this despite the unseasonal rain that fell everyday we were there. One of the last things we had hoped to fit in was a visit to the weekly farmer's market. On our way out of town we stopped by to be inspired by the locally grown produce, handcrafted cheeses, and locally brewed kombucha.